People all over the world celebrated the WordPress 15th Anniversary on May 27, 2018. 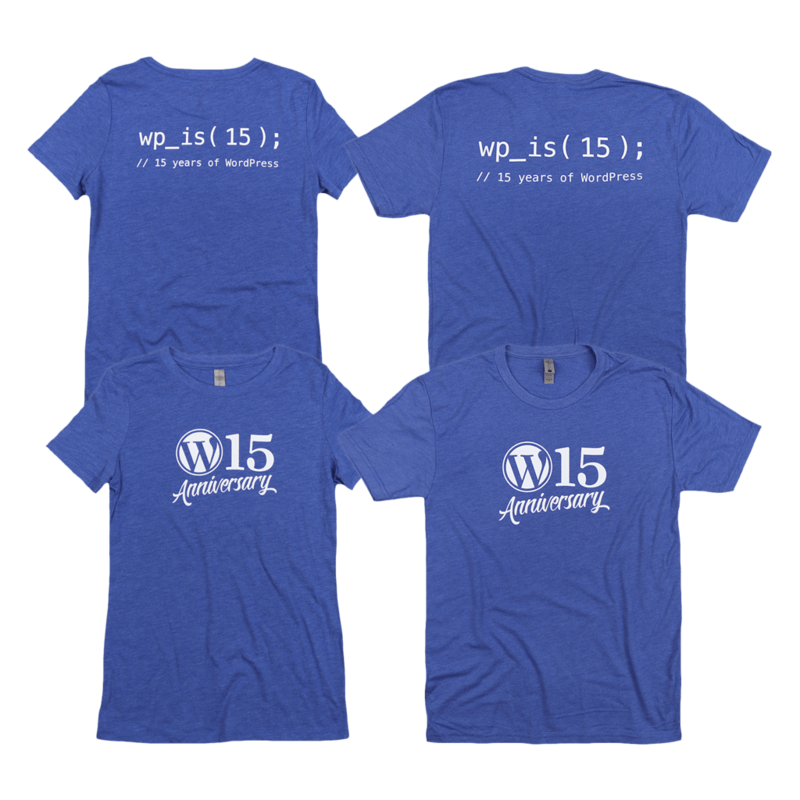 Show your WordPress pride by wearing this stylish, commemorative shirt! Printed on Next Level Apparel Tri-Blend.